Posted September 20, 2017 by Josette Farrell in News. 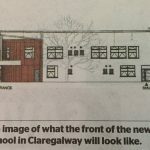 THE go ahead has been given for one of three major school projects in Claregalway but plans for two others are on hold until November. Planning permission has been granted for the construction of a new six class-room building adjoining the existing Claregalway NS on the Oranmore Road in the village. The single storey development includes SET rooms and is granted subject to six conditions. 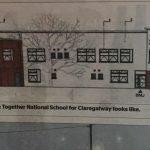 Meanwhile, the application to build a purpose-built school for Claregalway’s Educate Together NS and an extension to the secondary school Coláiste Bhaile Chláir is on hold. The application is now on an extension of time and planners will hold off making a decision until November 1. The planning application for Coláiste Bhaile Chláir and the Educate Together School has been lodged on behalf of the Minister for Education and Skills. Claregalway ETNS opened in 2005 with 29 pupils and in September it will have 158 pupils enrolled. 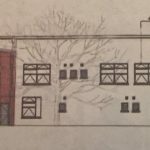 The new school is earmarked for a site adjoining Coláiste Bhaile Chláir and will be a 16 class-room two-storey building with a two classroom special needs unit and GP hall. Permission is also being sought for the third phase of the area’s secondary school Coláiste Bhaile Chláir, run by Galway Roscommon Education Training Board (former VEC). 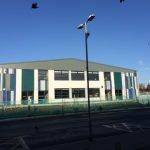 The school first opened in 2013 with 168 students and will have some 800 students when it begins a new school term next month. 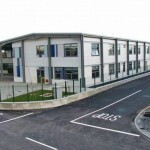 Both school buildings are earmarked for lands owned by the Department and the schools will adjoin each other. However, many residents, who stress they are supportive of both schools, are opposed to the location of the new primary school. A number of objections have been lodged with the planning authority highlighting concerns, including traffic safety in the area. Letters of support for the new Educate Together school have also been submitted to the Council’s planning office.